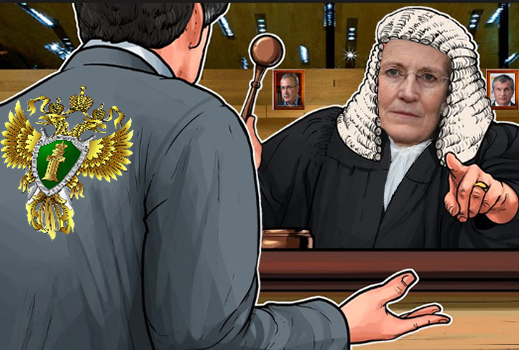 The Chief Magistrate of England, Emma Arbuthnot (lead image), ruled on Friday to dismiss an application from the Russian Prosecutor-General for extradition of Ilya Yurov, the control shareholder of National Bank Trust (NBT) before the bank was de-licensed by the Central Bank and transferred to Otkritie Bank at the end of 2014. It is Arbuthnot’s second judgement in as many months against Russian prosecutors seeking alleged runaway fraudsters living in the UK. The Russian indictment, arrest warrant, and application for extradition were served on Yurov in London on January 19; he was then given bail and ordered to appear at the hearing which took place over three days in mid-July. Arbuthnot ’s 25-page ruling can be read in full here. As summarized in the London court, the three criminal offences charged against Yurov and his co-directors at Trust, Nikolai Fetisov and Sergei Belyaev, date from 2012 to 2014. The Russian prosecutors charge that Yurov and the others helped themselves to about £200 million in Trust bank loans to their Cyprus companies, which they failed to repay; and €72 million in Eurobonds, also loaned to their offshore companies and also not repaid to the bank. When first reported, the alleged total was smaller – about $256 million; for details, click to read. Left: Ilya Yurov; right, co-director and co-shareholder of Trust Bank, Nikolai Fetisov. The liabilities of Trust when transferred to Otkritie were far greater, according to the Central Bank at the time, which loaned Otkritie Bank Rb127 billion ($1.7 billion) to cover Trust’s loan losses and disappearance of capital. Two years later, Yurov has documented, Otkritie went bankrupt in a Central Bank bailout requiring more than double the state funds. Alleged fraud and corruption by Central Bank personnel in the takeover of Trust, the conversion of Trust assets to Otkritie’s advantage, and the loss offshore of Otkritie’s assets are reported here. The sum of the civil lawsuit against Yurov by Trust-Otkritie, backed by the Russian Deposit Insurance Agency, and the total of his assets which have been frozen by the UK High Court, amount to $830 million. A counter lawsuit by Yurov in the New York Supreme Court against Otkritie and two shareholders, Vadim Belyaev (not related to the Trust Bank’s Sergei Belyaev) and Ruben Aganbegyan, was dismissed in November last year for lack of US jurisdiction. The credibility of one of Yurov’s defence witnesses, Judith Pallot, an Oxford professor and specialist on Russian prisons, was attacked by Arbuthnot. “I found criticism by an expert [Pallot] who had not been present and not seen the conditions inappropriate in the circumstances.. This aspect was not helped by evidence in which she appeared to be mixing up reported conditions…A noted academic, at times she did seem a little vague and confused in her evidence.” In Arbuthnot’s judgement, Russian prison conditions which Yurov would face were he returned for trial and convicted were not so harsh as to justify refusing extradition. Although the judge said she relied on the second of Yurov’s expert witnesses, a London-based Russian lawyer, Vladimir Gladyshev, she did not appear to have known he had been a consultant for the Robert Amsterdam law firm which has represented Mikhail Khodorkovsky and lobbied for him. Arbuthnot was also critical of professional incompetence on the part of the Russian prosecutors in preparing their case for the London court. In the earlier case for extradition of Fetisov, she noted, the Russians had missed a deadline for filing assurances on Moscow prison conditions, so Fetisov was released; and there was no subsequent Russian appeal. In absentia, Fetisov was declared bankrupt in a Moscow court in May. He is reported to be living in a London suburb. In his New York court case and elsewhere, Yurov has charged that he was cornered into selling out of his bank by a series of actions he blames on Sechin after he left the Kremlin and took over Rosneft. He repeated this claim in papers he submitted to Arbuthnot. Between 2007 and 2009, Yurov claimed that Rosneft took Russian court action against Trust for allegedly unlawful financial operations on behalf of Khodorkovsky, the owner of the bank before his arrest in 2003 and conviction in 2005. Rosneft obtained a court-ordered freeze of Trust shares, preventing Yurov from selling or pledging them for loans. Yurov says that in the second half of 2014 he was offered a buyout by Mikeil Shishkhanov of BIN Bank for $100 million. Sechin countered with an offer of one dollar, tabled, according to Yurov, by Rosneft’s chief financial officer, Pyotr Lazarev. 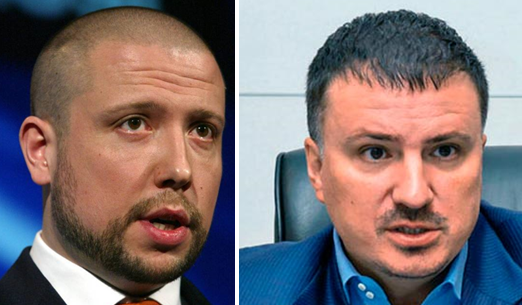 The combination of these high-profile figures, Khodorkovsky and Sechin, made Yurov a high-profile target. For that reason, Arbuthnot concluded her judgement, the indictment against Yurov “is certainly not of an ‘ordinary’ criminal offence.” She ordered him released him on the ground that he faced the likelihood of a prejudicial trial in Moscow.